This is a very critical time for exercising a voice for peace. Please consider joining the Friday Hilo peace vigil at the downtown Federal Building (Post Office) held from 3:30-5PM every Friday. Come for a few minutes or the entire vigil. Senior citizens bring a chair to sit in the shade. 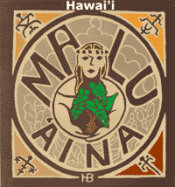 Be sure to sign up on the Malu ‘Aina website (www.malu-aina.org) to receive our new weekly Peace leaflet. This week’s leaflet is below. Support for the Iran Nuclear Agreement is needed to counter a right wing push to defeat it. With actions in the Ukraine and elsewhere, the U.S. is clearly trying to destabilize (regime change) Russia and the military escalation (pivot in the pacific) with new bases at Jeju Island in Korea, etc. is aimed squarely at China. Not to mention the increasing chaos in the mideast with U.S. military actions taking place in several countries and the ongoing military contamination mess right here at Pohakuloa. With the increasing threat of nuclear war due to global instability and the increasing catastrophic consequences of climate disaster, there is a need for a voice for justice, peace, and the earth like never before. Please join in this effort and find a way to speak out. U.S. Military Arrogance is Hard to Top! The Nuclear Regulatory Commission (NRC) recently announced that the Army wants a “Categorical Exclusion” (CATX) to the U.S. National Environmental Policy Act (NEPA) requirements for its use of Depleted Uranium (DU) on military bases, including Pohakuloa and other sites in Hawaii. In short, the military does not want to do any air, water, or soil sampling or monitoring to determine the full extent of the radiation contamination, nor does it want to do any clean up. In fact it wants to continue to conduct high explosive training (bombing, shelling, etc.) in areas known to be contaminated. Such blatant disregard for the health and safety of its own troops and the surrounding civilian residential communities, and visitors to Hawaii, is hard to top. DU was first used in Hawaii beginning in the early 1960s with a spotting round for the nuclear weapons system known as “Davy Crockett.” More than 2000 DU spotting rounds may have been fired at Pohakuloa alone. Others were fired at Schofield Barracks, and possibly Makua Valley on Oahu. The U.S. also fired Davy Crockett DU spotting rounds in 13 other states and 3 foreign countries. Today DU is used in a wide variety of weapons for armor piercing and bunker busting. It was used by the U.S. in Kosovo, Iraq, Afghanistan, and possibly other countries. It results in radiation contamination that is long lived. DU has a half life of 4.5 billion years. It’s health hazard is mainly from inhalation of small dust particles that can lodge in the lungs and get into the lymph system causing cancer and other health problems. In 2008 the Hawaii County Council passed resolution 639-08 by a vote of 8 to 1 which called for stopping all live fire at Pohakuloa and clean up of the DU present at Pohakuloa. The military has ignored the Council’s voice. State and Congressional legislators have done little or nothing to take on this issue to protect public health. So it’s business as usual. Clarence Kūkauakahi Ching and Mary Maxine Kahaulelio have filed suit against the State of Hawaii for it’s failure to protect public trust lands leased to the military at Pohakuloa, The case is pending and the military is trying to renegotiate a long term lease of lands at Pohakuloa beyond the current lease expiration of 2029. In total, the military controls 133,000-acres of land at Pohakuloa and fires upwards of 14 million live rounds annually there according to military documents. It’s time for action at all levels –grassroots people power, county, state and federal, to stop the bombing. Enough is enough. No more destruction and desecration. Cancel the military lease. Military clean-up not build up needs to happen. Return the land to the Hawaiian people and the Hawaii nation. For Justice, Peace, and the Planet! U.S. Military Arrogance at Pohakuloa, etc. 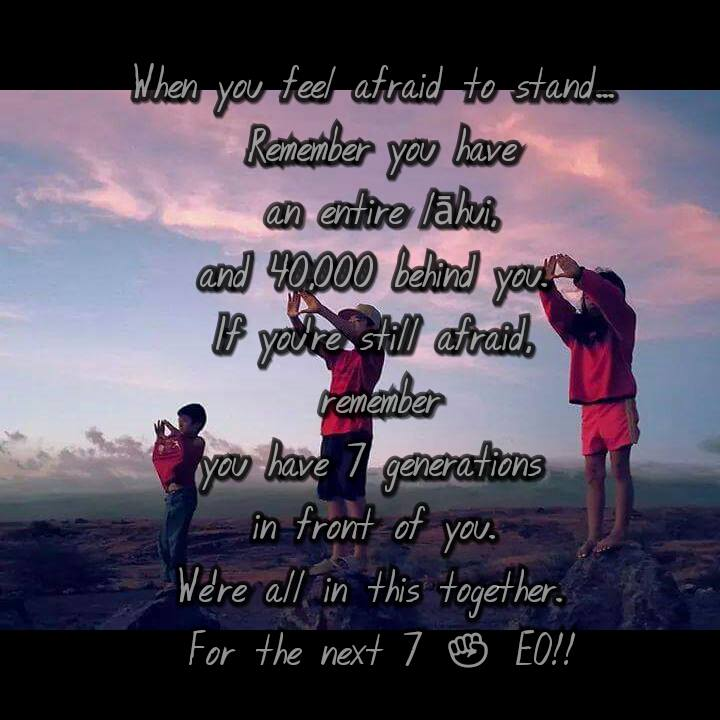 Aloha Everyone in the Idle No More Movement and to all movements inspired and created to honor the heavens and the earth, the mountains to the sea. An open letter to Mr. Gordon Moore co-founders of the Intel Corporation. We acknowledge your great contributions as co-founder of Intel Corporation, trustee of the California Institute of Technology, and philanthropic supporter of science, as well as natural resource protection around the world. You have given much to society, and for this, we thank you. We write today, however, regarding your financial backing of an aggressive campaign to build the world’s largest telescope—the Thirty Meter Telescope—atop Mauna Kea. The summit of Mauna Kea is protected by state and federal laws that support conservation over development because Mauna Kea is home to rare plant and animal species found nowhere else on planet Earth, some on the brink of extinction. Astronomy, including the search for life on other planets, is a noble endeavor, but it loses that nobility when its actions threaten life on Earth. Extinction begins the process of unraveling creation — it is forever, and it is unacceptable, especially in this day and age. Mauna Kea’s high elevation landscape is used for ceremonies that contain star and other knowledge essential to modern Hawaiian voyaging. Hawaiians used this knowledge millennia before modern astronomy to voyage to hundreds of tiny islands spread over ten million square miles of the Pacific. More than ninety-three astronomical sites are available in the world for doing astronomy, but Mauna Kea is the only place on Earth for conducting these ceremonies. The controversy over the TMT does not end with moral and ethical questions about culture and the environment. There are also legal issues. Caltech and the University of California (UC) have repeatedly built telescopes on Mauna Kea without complying with state and federal environmental laws, escalating the decades-long conflict between the astronomers and islanders. In the 1990’s, despite public outcry about building more telescopes, Caltech and UC, together with NASA, campaigned to build as many as six more “outrigger” telescopes for the Keck observatory, and the people had to turn to the courts for justice. In 2003, a federal judge ordered the Keck project to comply complete a federal environmental impact statement, and in 2007 a state judge voided the Keck permit for Mauna Kea because it violated state law. Sadly, the TMT Project perpetuates this legacy of lawlessness. As this letter is being written the UH/TMT team have begun work on the TMT Project by grading, excavating and test drilling on the sacred lands of Mauna Kea. Aa group of Native Hawaiian cultural practitioners, environmentalists, and public interest advocacy groups are challenging state of Hawai`i’s permit for the TMT as a breach of the public trust in state courts, and University of Hawai`i students are protesting against the university’s lead in the desecration of Mauna Kea. Further, TMT officials have refused to comply with the law requiring a federal EIS, despite receiving millions in federal funds from the National Science Foundation. They’ve also ignored the legal limit on the number of telescopes allowed on the summit. Repeating the same errors the courts previously found unlawful is outrageous. Is this the legacy you wish to leave in Hawaii, Mr. Moore? Over and over, islanders have peacefully expressed—with aloha—our concerns, yet you and your colleagues continue to push this project without following the law. Aloha is not just a catchy phrase. It’s about truth which is meant to heal. Mr. Moore, you have a chance to hold the California observatories to a higher standard of Aloha. You and financial influence can help direct the TMT proponents to a peaceful solution, such as supporting stopping the current construction activities on Mauna Kea. You can make a significant shift be choosing not to build the TMT altogether especially since the European Extremely Large Telescope (EELT), a next generation telescope that is currently under construction in Chile. The EELT is considerably larger then TMT (TMT is 30 m in size and the EELT is 39 m). According to TMT’s own analysis, the no build alternative will cause less environmental and cultural damage than building it on the sacred mountain landscape and fragile ecosystem of Mauna Kea. It is time to Aloha Mauna Kea, Mr. Moore. Protect Mauna Kea & Pohakuloa! No TMT! Stop the Bombing!